Yehuda M. Braunstein heads up the Family Office practice and is also a member of the firm’s Financial Services and Corporate Groups. Mr. Braunstein counsels family office clients in connection with all aspects of their operations, including formation issues, governance and compensation issues, transactional and day to day matters as well as compliance issues. Mr. Braunstein’s practice also focuses on investment funds, securities, joint ventures, regulatory compliance and investment advisers. He regularly structures and organizes hedge funds, private equity funds (including real estate, distressed and lending funds), funds of funds, separately managed accounts and hybrid funds. Additionally, he advises private fund managers on structure, compensation, employment and investor issues, and other matters relating to management companies. Mr. Braunstein also structures and negotiates seed investments and operating agreements. He provides ongoing advice to investment advisers on securities law issues, including SEC filings. His practice also involves counseling clients in SEC regulatory matters, including compliance issues related to registered advisers, as well as conducting mock audits. 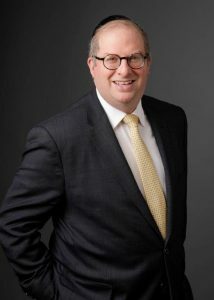 Prior to joining Sadis & Goldberg, Mr. Braunstein was Special Counsel in the Investment Management Group at Schulte Roth & Zabel where he represented numerous private investment managers and various types of investment funds and an Associate at Debevoise & Plimpton where he primarily represented private equity funds and their investment advisers. Choose us in your search for securities law firms.